Gemstone and precious pearls are brought together in stunning fusion. 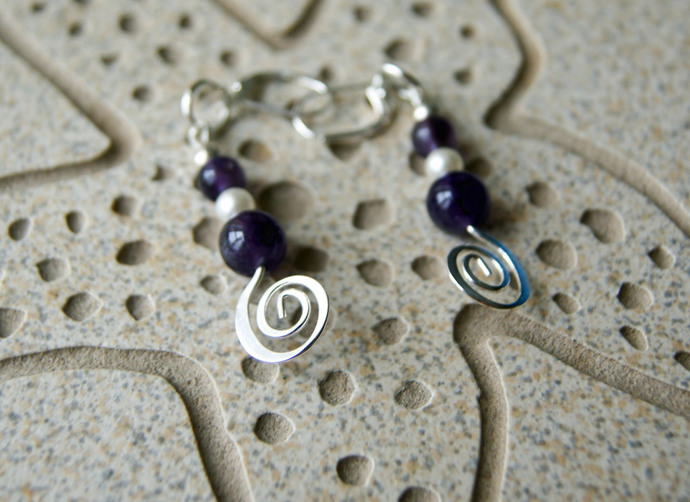 Sterling silver stamped ear wires enhances the elegance simplicity in my design. 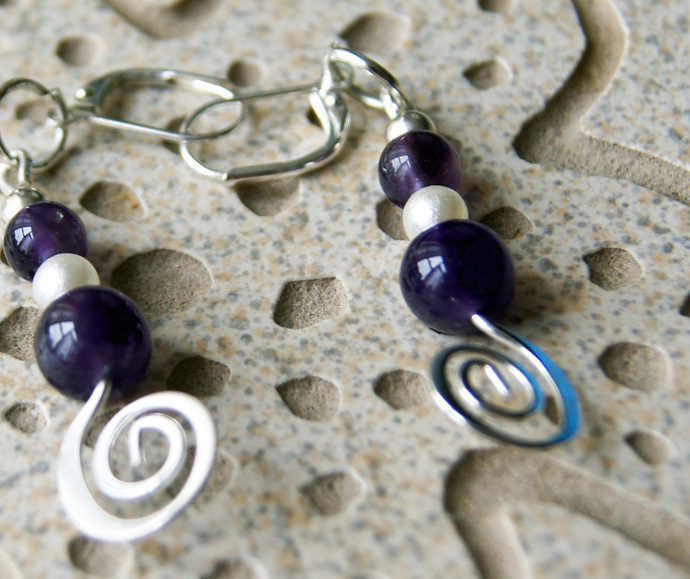 Nestled together showcasing the beauty of 2 amethyst gemstone beads is the single pearl. Crowned with two silver beads. No two amethysts are alike. Hypo-allergenic and nickle free. The lever back style will ensure many years of wear, as they are self closing like a 'lobster claw'. Easy to care for with a soft cloth. Measuring 2 inches (5 cm) in length from top to bottom. The design came into being who is a Canadian author (J.P. McLean) and these have become a favorite of hers, mine and other customers. 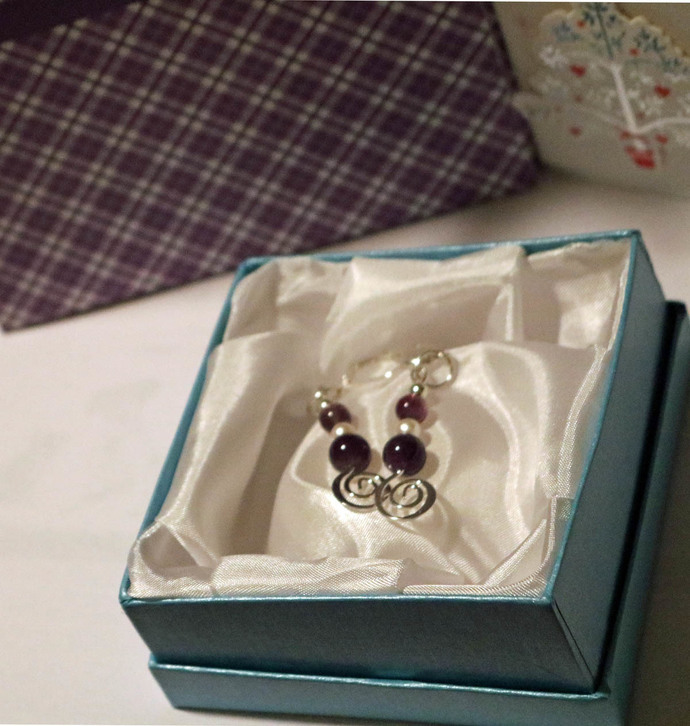 Nothing makes a woman feel 'well dressed' than elegant earrings. Shipping: Tracked shipping is available for Canadian and U.S.A customers please contact me. This method is best suited to ensure 'on time delivery' and status updates will be directed to your in box. Canada Post does require 1) a contact number and 2) current email for this type of service. Shipping Other Countries: For all other countries items will be sent by International Small Packet Air, this is not tracked. 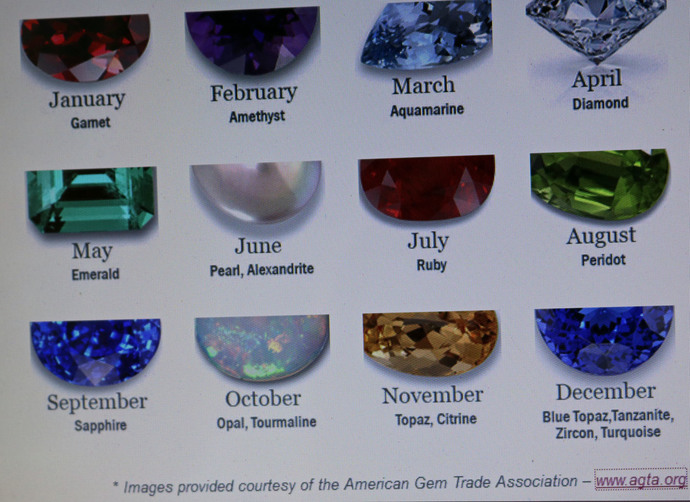 Photo 4 shows the birthstones by month. Have fun shopping here 24/7 no matter where you are in the world! If there is anything else I may help you with, please don't hesitate to reach out, we are here to serve and make your experience a memorable one.